The Last WordIf you love the Spellman series, don't miss Lisa Lutz's return visit to Women & Children First! The Last Word is the sixth book in the beloved comic detective series. Within months of assuming control of the family business, Spellman Investigations, Izzy is accused of embezzling from a former client, the ridiculously wealthy Mr. Slayter, who happens to have Alzheimer’s, which Izzy and he are diligently trying to keep under wraps. Not only is Slayter’s business and reputation on the line, but if Izzy gets indicted for embezzlement, she’ll lose everything. Is this the end of Izzy Spellman, PI? The answer makes The Last Word, hands down, the most thrilling book in this bestselling, award-nominated series. Lisa Lutz lives and works in upstate New York. MysteryPeople Presents Bestselling Author Lisa Lutz speaking & signing The Last Word: A Spellman Novel ISABEL SPELLMAN, PI , is used to being followed, extorted, and questioned—all occupational hazards of working at her family’s firm, Spellman Investigations. Her little sister, Rae, once tailed Izzy for weeks on end to discover the identity of Izzy’s boyfriend. Her mother, Olivia, once blackmailed Izzy with photo­graphic evidence of Prom Night 1994. It seemed that Spellman vigilance would dis­sipate after Izzy was fired for breaching client confidentiality, but then Izzy avenged her dismissal by staging a hostile takeover of the company. She should have known better than to think she could put such she­nanigans behind her. In The Last Word, Izzy’s troubles are just beginning. After her takeover of Spellman Investigations, her employees are the fur­thest thing from collegial . . . and Izzy finds herself struggling to pay the bills. But when she is accused of embezzling from a former client, the ridiculously wealthy Mr. Slayter, the stakes become immense. If Izzy gets indicted, she could lose her PI license and the Spellman family’s livelihood, not to mention her own freedom. Is this the end of Izzy Spellman, PI? Lisa Lutz is the New York Times bestselling author of the acclaimed Spellman series of books. Lutz has won the Alex award and has been nominated for the Edgar Award for Best Novel. Although she attended UC Santa Cruz, UC Irvine, the University of Leeds in England, and San Francisco State University, she still does not have a bachelor's degree. Lisa spent most of the 1990s hopping through a string of low-paying odd jobs while writing and rewriting the screenplay Plan B, a mob comedy. After the film was made in 2000, she vowed she would never write another screenplay. Lisa lives in a town you've never heard of in upstate New York. Thank you for supporting Lisa Lutz and your local independent bookstore! Lisa Lutz will sign and discuss The Last Word (Simon and Schuster; $25). Lisa Lutz is the New York Times bestselling author of The Spellman Files, Curse of the Spellmans, Revenge of the Spellmans, The Spellmans Strike Again, Trail of the Spellmans, The Last Word, Heads you Lose (with David Hayward), and the children's book, How to Negotiate Everything (illustrated by Jaime Temairik). Lutz has won the Alex award and has been nominated for the Edgar Award for Best Novel. Although she attended UC Santa Cruz, UC Irvine, the University of Leeds in England, and San Francisco State University, she still does not have a bachelor's degree. Lisa spent most of the 1990s hopping through a string of low-paying odd jobs while writing and rewriting the screenplay Plan B, a mob comedy. After the film was made in 2000, she vowed she would never write another screenplay. Lisa lives in a town you've never heard of in upstate New York. New York Times Bestselling author Lisa Lutz will be speaking about her new book, Last Word, the sixth novel featuring the wacky San Francisco family of PIs. Everyone in the Spellman clan is in an uproar because of Isabel's hostile takeover of the firm; her mother and father lack and semblance of professionalism, her younger sister has proven herself a master of blackmail, and a former client has accused Izzy of embezzlement! The hilarious office memos and footnotes add to the fun. The delightfully dysfunctional Spellmans are back with The Last Word. This time Izzy Spellman and Spellman Investigations face charges that can cost them their business, her license, and her family’s livelihood. See Terry’s enthusiastic review below. We will also have copies of How to Negotiate Everything, a picture book “by David Spellman” which promises to instruct one in the art of never being denied again. Lisa also signs in Redondo Beach on Thursday 11 July 2013. Lisa Lutz discusses Trail of the Spellmans . Lisa Lutz reads from Trail of the Spellmans: Document #5. The long awaited fifth installment in the New York Times bestselling, Edgar- and Macavity-nominated series about an eccentric sleuthing family. For the first time in Spellman history, Isabel Spellman, PI, might be the most normal member of her family. As always, the Spellman clan has yet to settle into any kind of status quo. Mom, Olivia, has taken on an outrageous assortment of extracurricular activities, seemingly without motive. Dad, Albert, has a secret. Her brother and sister, David and Rae, are at war, but neither will reveal the source of the conflict. And Izzy's niece, Sydney, keeps saying banana even though she hates bananas. That's not to say that Izzy isn't without her own troubles. Henry Stone keeps wanting "to talk," a prospect Isabel evades by going out with her new drinking buddy, none other than Gertrude Stone, Henry's mother. While domestic disturbances abound, there is one source of sanity in the Spellman household: Demetrius Merriweather, now employee of the month for 18 months straight (the entire tenure of his employment). Things aren't any simpler on the business side of Spellman Investigations. First, parents hire the firm to follow their daughter. Rae is assigned the case, only to fake the surveillance reports. Then a math professor hires Izzy to watch his immaculate apartment while he unravels like a bad formula. A socialite has Isabel follow her husband, despite a conspicuous lack of suspicion. A man in a sweater vest hires the firm to follow his sister, who turns out to be the socialite. Isabel wants to get to the bottom of all this, but her father erects a Chinese wall to protect the clients' wishes. As the questions pile up, Izzy won't stop hunting for the answers-even when they threaten to shatter both the business and the family. Once again, it's up to her to pull the Spellmans back from the brink. 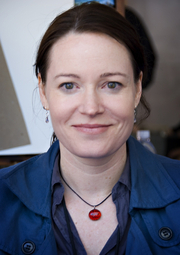 Lisa Lutz is the New York Times bestselling author of The Spellman Files and Curse of the Spellmans, a nominee of the 2008 Edgar Award for Best Novel. She is most recently the coauthor of Heads You Lose, written with David Hayward. Lisa Lutz's book How to Start a Fire was available from LibraryThing Early Reviewers. Lisa Lutz's book Heads You Lose was available from LibraryThing Early Reviewers. Lisa Lutz is currently considered a "single author." If one or more works are by a distinct, homonymous authors, go ahead and split the author. Lisa Lutz is composed of 3 names. You can examine and separate out names.